Imagine that you received a few hundred hectares of land anywhere in the world. You carefully exchange any non-indigenous plants with native ones, recreating an environment where a variety of animals can live, including dozens of endangered species. Some of these endangered animals were victims of human violence or were found wounded and many of them were saved from illegal trade. In Sanctuary: Endangered Species, each of you will create a sanctuary for different endangered animal species. With the help of volunteers and rangers you will develop your facility, take care of your animals, and recreate their natural habitat as you try to save them from the impacts of civilization. You will maintain order and monitor animal's behavior – everything to ensure that the animals in your sanctuary are happy and safe. 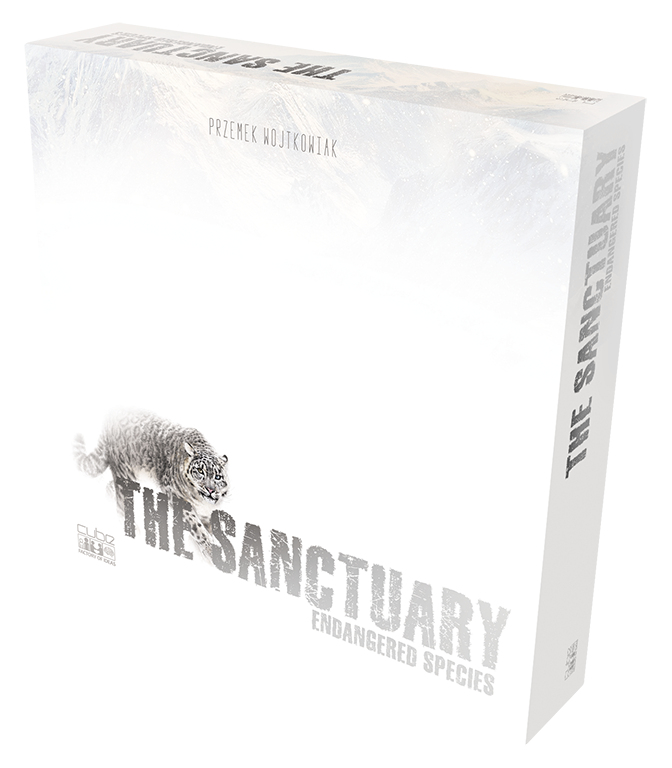 the Sanctuary: Endangered Species is an unique worker placement game which uses an original and fun "line of sight" mechanism. Players will send their volunteers to perform various tasks thus take care of their animals, develop their Sanctuaries and expand its boarders. the Sanctuary is a fast-paced game with rather simple rules but suprisingly deep and satysfying, tactical gameplay. Each round you will have to choose between many significant options and whoever choses the most efficient ones will become a winner. the Sanctuary provides you with an ultimate, highly replayable boardgame experience where each game is completely different from the others. Everything thanks to different action decks every game and numerous, well-balanced strategies that you can choose during the game. Problems with purchasing the Sanctuary? This might be an idea! Designer's Diary part IV - Why "the Sanctuary"? Next part of designer's diary about The Sanctuary.